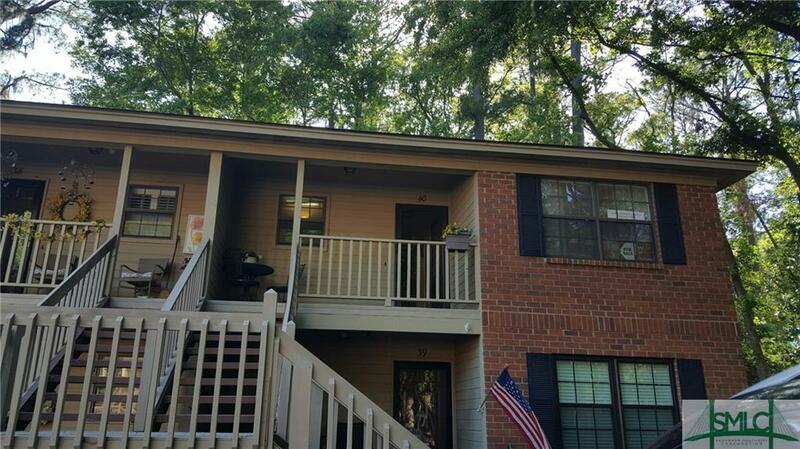 Upstairs end unit, tucked away in an area with great wooded views! 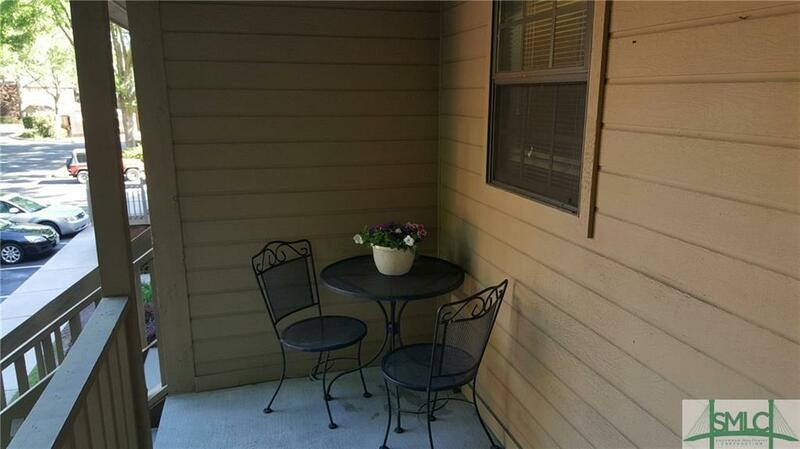 You can enjoy sitting on the front porch with wooded views or on the back balcony with more peaceful and wooded views. As you enter the condo, there is a spacious Great Room that you can configure as you desire. Sliding glass door leads to balcony. Master Bedroom suite is located in the back with a wooded view. 2nd bedroom and bathroom are located at the front along with a laundry room with washer and dryer that stay. 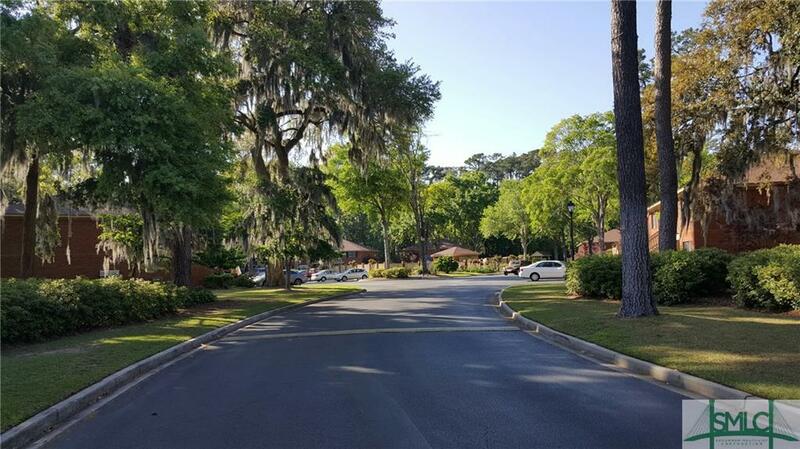 Colony Park consists of 76 condos and the entire complex is well taken care and the residents take great pride in their unit. The community pool is nice and located in the center of the complex and there are bench swings located in common areas to enjoy. 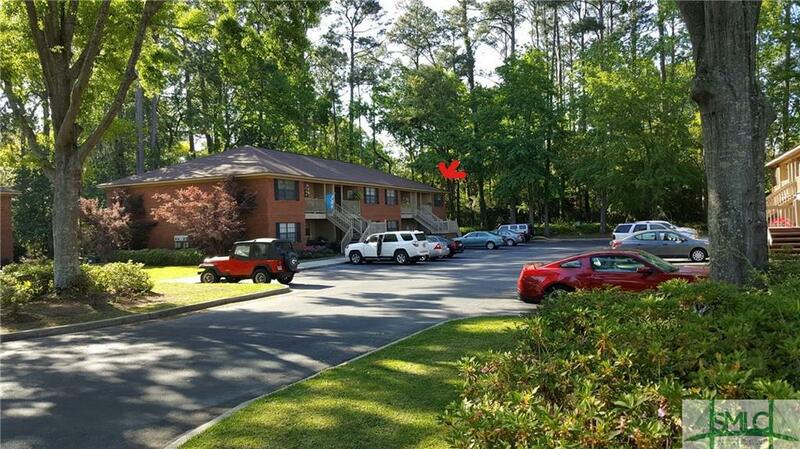 Super convenient location to shops, medical offices and restaurants.